Ah! 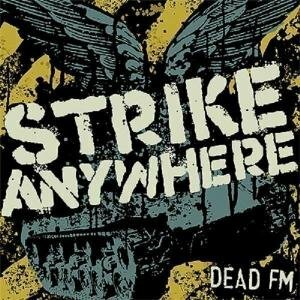 Apparently one of my favorite bands, Strike Anywhere released a new CD on September 5th called “Dead FM” and I had no idea. Damn I’ve been slacking lately. 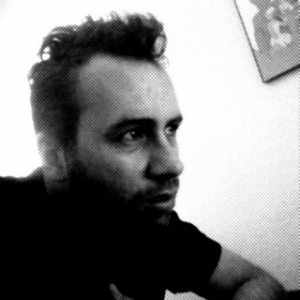 I was cruisin’ the Internet looking for any new punk/ska shows coming up and came across Fat Wreck Chords site. And on the homepage was Strike Anywhere’s new CD. Exactly 27 seconds later I ordered the CD and should have it in the next couple of days. The CD should rock. I have no doubt from this band and shouldn’t be disappointed by this new CD (unlike other bands **coughriseagainstcough**). Anyways I also checked their tour schedule and they are playing here in Phoenix on October 13 (Friday). Ooo Friday the 13th. Scary. That’s getting close to the wedding date but hopefully Jenny will let me go. Just kidding, I’ll go no matter what Jenny says. Heh, just kidding again. They’re playing at The Brickhouse Theatre @ 7pm with some other bands that I never heard of. That’s ok though, I like hearing unknown bands because I might just find my newest favorite band through them (like A Wilhelm Scream or Evergreen Terrace). This will be the first time I get to see Strike Anywhere in concert so I’m excited if you haven’t noticed already.